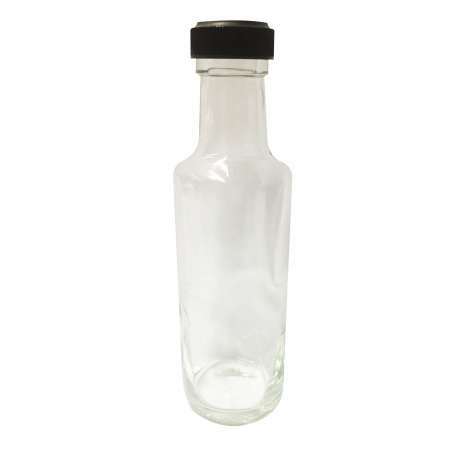 10cl clear glass bottle supplied with 24mm black plastic lid. 10cl clear glass Dorica bottle supplied with 24mm black plastic lid. 42 bottles and lids per pack. Suitable for oils, juices, sauces, dressings.